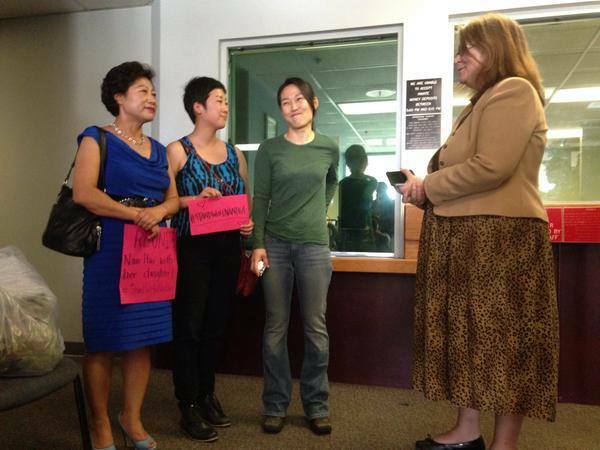 Nan-Hui Jo (center) thanks her supporters moments before she is taken into ICE custody. Photo credit: Facebook / Stand With Nan Hui. Nan-Hui Jo stands with a smile on her face in the lobby of the Sacramento county jail, next to two advocates holding signs of support, and another woman.